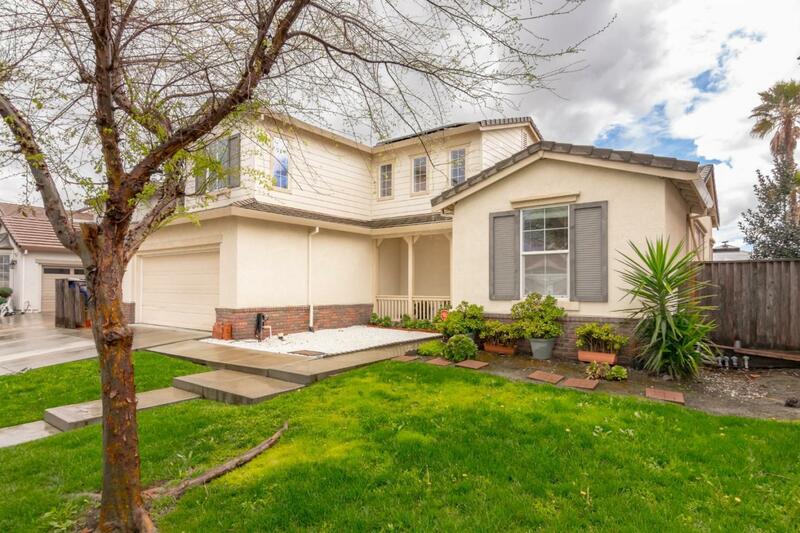 2720 Magazine Lane, Tracy, CA.| MLS# ML81743887 | Christy Herndon | 510-703-0356 | Sacramento, San Joaquin, Contra Costa and Alameda County Homes for Sale. Beautiful spacious 5 bedroom 3.5 bathroom home located on a very desirable lot with no neighbors behind and with outstanding views of the hills. This stunning home offers high ceilings, a large formal living room, formal dining area, downstairs guest suite, beautiful large kitchen with Corian counters & decorative backsplash, stainless steel appliances, center island with a breakfast bar, 2 built in ovens, built in microwave, gas burner stove top, cozy family room with brick fireplace and built-in shelving. Laminate floors, brand new carpeting on the staircase and upper floor. Laundry room plus 4 bedrooms are located upstairs. Large master suite with sunken tub, separate stall shower, 2 vanity areas and 2 walk-in closets plus a third closet. Energy saving solar panels. Enjoy outdoor entertaining with beautiful in-ground pool, waterfall, gazebo, pergola, & patio barbecue area. Stop by and see this outstanding home and all the lovely and desirable features it has to offer.